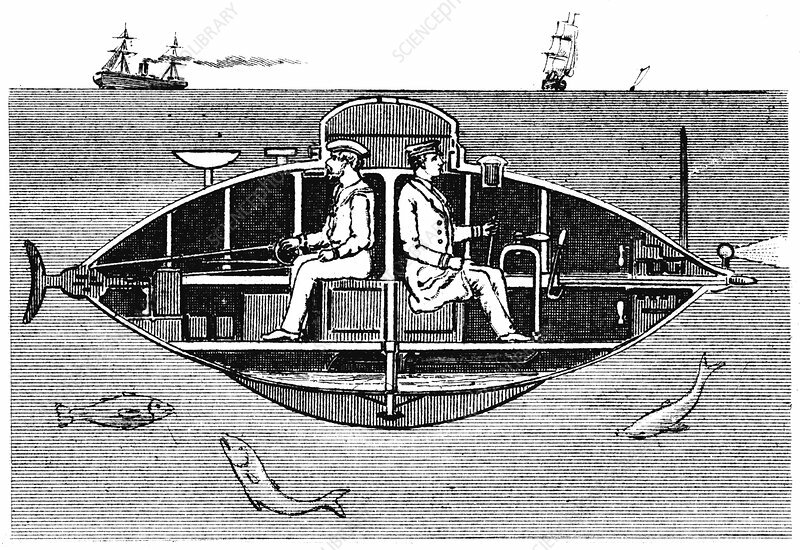 Goubet II, French electrically powered submarine adopted by the Russian government, 1890. In trials at Cherbourg in 1889 this submarine, designed by French engineer Claude Goubet, was submerged for 8 hours at a depth of 33 feet, and was in telegraphic communication with the surface. The submarine was too unstable to navigate effectively however.